Foxboro magnetic flowmeter and transmitter. When it comes to the application of Magmeters, the biggest problem our customers have is reliability. These devices commonly breakdown due to the corrosive and abrasive materials they measure, and the effects of the internal pressure of the liquid flowing through them. 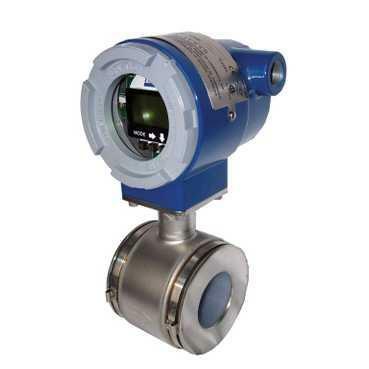 Foxboro magnetic flowmeters, however, solve these industry-wide issues with superior construction, compact design, the widest selection of options, combined with low power consumption. Foxboro magnetic flow tubes utilize a superior electrode. By using large electrodes, the flowmeter output is less sensitive to the effects of entrained air, and unaffected by higher internal pressures. Rugged Teflon liners are resistant to chemical attack which makes it possible to use the Foxboro magnetic flowmeter in hard to handle corrosive liquids and slurries. Finally, Foxboro magnetic flowmeters offer system accuracy of plus or minus 0.25 percent of reading. Foxboro flow tubes can be paired with there IMT 25 and IMT 96 transmitter for complete compact system that provides unequalled durability measurement accuracy and performance with virtually no maintenance and minimal replacement cost covering the widest choice of industry applications available. 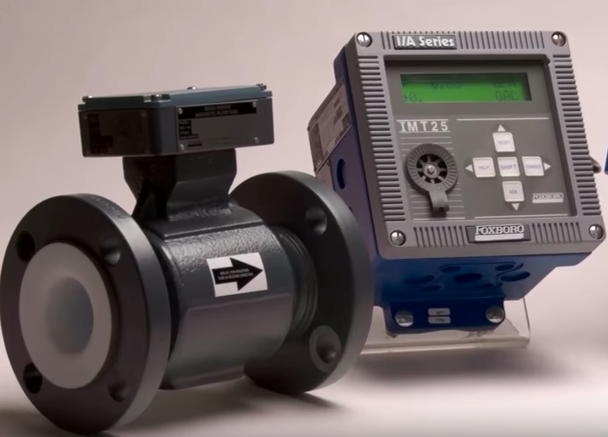 For more information on Foxboro magnetic flowmeters please contact Mead O'Brien at (800) 892-2769 or visit http://www.meadobrien.com.